The bushing kit contains a bushing, nut, key(s) and mounting screws. 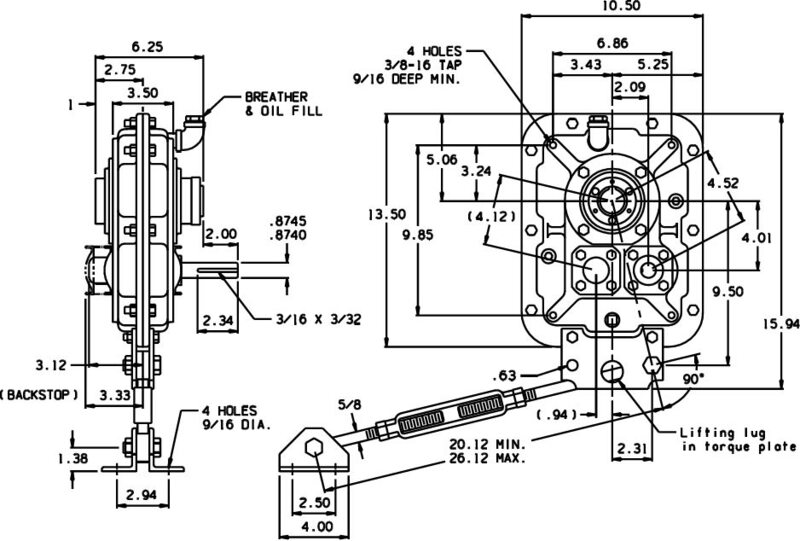 The recommended driven shaft length is 6.25 inches and uses the recommended keyway length. 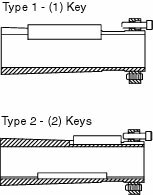 When an application requires the minimum driven shaft length, the keyway must be keyed along the entire length. Consult factory for bore sizes not shown. Motor brackets are shown in the intermediate position. The brackets can be raised or lowered 4 5/8 inches to the high or low position by moving to the next set of mounting holes. The motor brackets can be mounted on either the long (6 o'clock) or short (3 o'clock) sides of the housing as shown. 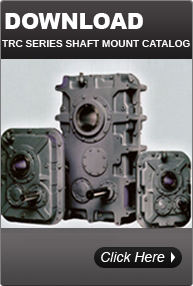 Face mounting holes are not drilled on standard units -- Contact factory if face mounting is desired. 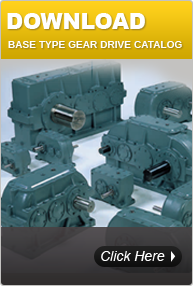 The preferred position for the torque arm is 90° to a line between the point of attachment of the torque arm to the drive and the low speed shaft. The torque arm must be in tension. Keep the torque plate in the position shown. Backstop extensions are standard on double reduction drives and can be supplied on single reduction drives if specified when order is placed. See Backstop Kit section for backstop torque capacity.